Chris has spent many years in the Contract Hire and Leasing Industry and 20 years ago formed Castle Vehicle Leasing. 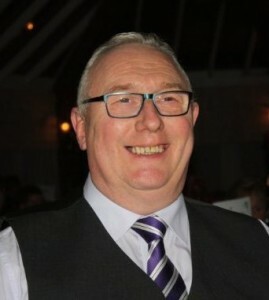 He is now CEO of the Castle Group of companies who provide cars and vans to business’s and with Castle Minibus, is now one of the country’s leading providers of minibuses and driver training to Schools and Academies throughout the UK. A passionate Manchester City fan who has been through the highs and lows that comes with being a City fan! Having brought up a large family himself, he recognised the great work that KidsOut are doing to improve the lives of children who have not been lucky enough to come from a caring and loving family environment.